Drinks manufacturer AG Barr might not offer the biggest dividend yields out there, but thanks to the unwavering popularity of its drinks like Rubicon and that Scottish favourite Irn Bru, it generates profits growth year after year without exception. 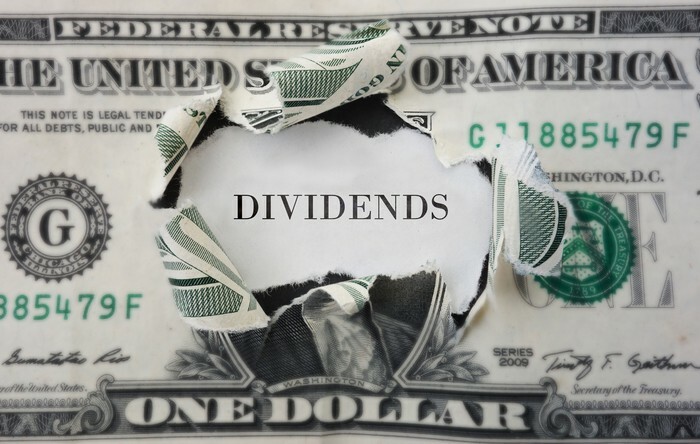 This great visibility has formed the bedrock of its progressive dividend policy, and I’m expecting another healthy payout hike when full-year results are released on Tuesday, March 26. The positive trading statement of January, in which it advised of a 5% sales improvement last year to £277m in spite of tough trading conditions, encouraged me that Barr will have the confidence to deliver another meaty increase. City analysts share my optimism and are predicting a 16p per share total payout for the year to January 2019, up from 15.55p previously. What’s more, with additional annual earnings growth predicted all the way through to the close of fiscal 2021, the number crunchers are anticipating dividends of 16.9p and 17.7p this year and next respectively. And these projections yield a chunky, inflation-beating 2.1% and 2.2% respectively. Should Barr, as I expect, report a strong start to the current fiscal year then its rising share price could be set to gain even more ground. In a similar vein, Bellway is another FTSE 250 stock I reckon could rise upon fresh trading details scheduled for the coming days (half-year numbers are slated for Wednesday, March 27). The housebuilder certainly impressed last month with news that “customer interest in [our] homes remains high,” supported by low Bank of England base rates, generous mortgage products and the government’s Help To Buy purchase scheme for first-time buyers. I’m not expecting conditions for the business to have deteriorated in the weeks since then and neither are City brokers, as illustrated by their predictions of sustained earnings growth this year and next. Predictions of total dividends of 148.2p and 155.7p per share for the years to July 2019 and 2020 respectively provide another reason to buy Bellway today -- these figures yield a stunning 4.9% and 5.2%. Yields at Fever-Tree Drinks are nowhere are nowhere near as formidable as those above, though if you’re seeking exceptional dividend growth many years into the future I believe it’s also a great stock to buy today. Thanks to surging demand for its drinks mixers across the globe City analysts are expecting the firm to keep delivering strong, double-digit-percentage improvements in annual earnings. Most recent trading details in January showed just why: Fever-Tree sales in the UK, USA and Continental Europe sprung 52%, 21% and 24% higher respectively in 2018. This is why the abacus bashers are predicting that Fever-Tree’s full-year dividend will swell to 13.49p per share when full-year results are released on Tuesday, March 26, up from 10.65p last year. And shareholder payouts are expected to keep growing thereafter, to 15.9p in 2019 and 19.2p in 2020, projections that yield 0.6% and 0.7% respectively. I’m expecting the business to reiterate its exceptional profits outlook this week and this could help its share price to fly.